Balduin Sulzer: "Tu non sai, quanto soffri il tuo vecchio genitor. Scena affetuosa for cello and piano"
This CD might not be the most "popular" choice of repertoire, yet I am a bit proud of it because it contains only repertoire that was written for me by Upper Austrian composers in the 1990s. Rogl's cello concerto was recorded in 1994 and, together with the Martinu Concertino on CDM56821 is the repertoire of my debut in Vienna Konzerthaus on my 20th birthday. 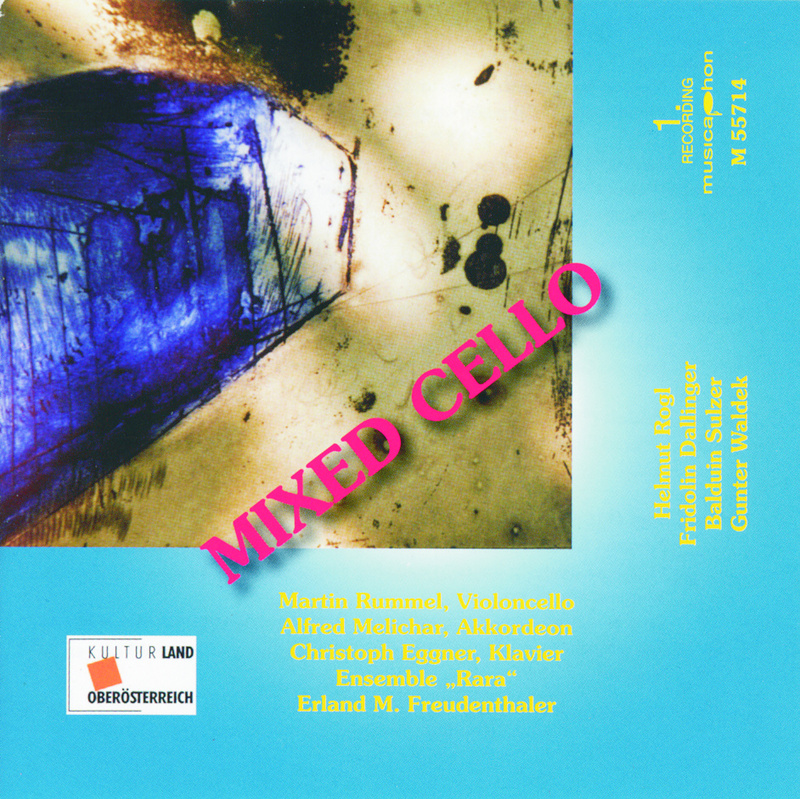 "Mixed Double" was written in 1990 for a recital I was to play together with Margit Haider at the Ehrbar Saal in Vienna, but as Margit pulled out of the concert the premiere had to be postponed. Sulzer's Traviata phantasy is a very witty piece and I played it a number of times in Austria and in the UK. Dallinger's sonata for cello and accordion was premiered at the presentation of this CD at the ORF in Linz in November 2011 which was the last occasion where my mother heard me perform. It is one of the great privileges to be a musician in Austria that such efforts by both performers and composers are publicly acknowledged: this CD was not only financially supported by the Upper Austrian federal government but could also be presented in a public event that had all the composers present at the ORF studio in Linz. I am very happy that some of the new repertoire that I advocated at various stages in my life has seen more than just the proverbial first and last performance.